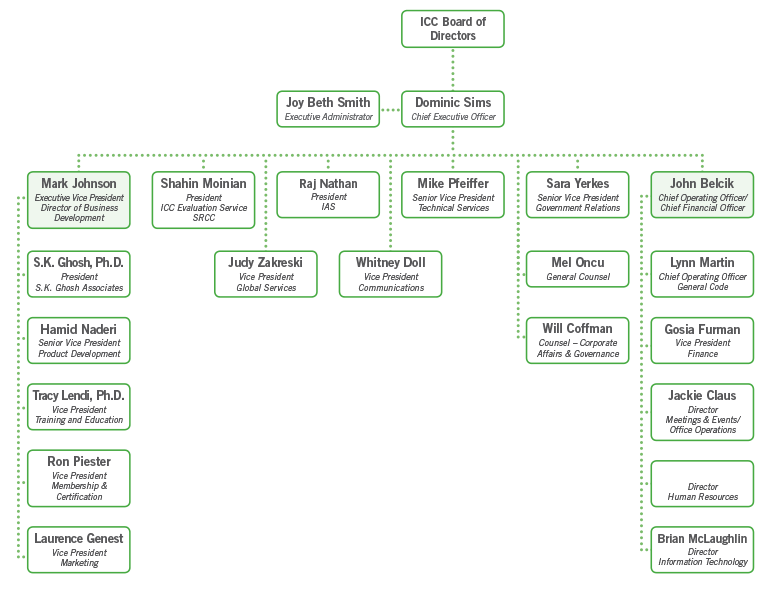 The Code Council’s board of directors provide direction, guidance and oversight to the organization. The Board meets multiple times a year and works closely with our senior leadership team to steer the Code Council towards a sustainable future while adhering to its mission. Learn more about our current board of directors. For contact information, please see our Contact ICC page.